Vans provide enough interior space to store supplies and materials while still supplying workers the room needed when accessing the stored cargo. The popular Ford Transit Connect and other similar models are suitable for transporting ladders and other types of larger equipment. The addition of a cargo carrier to the roof of the van will enhance the utility of the vehicle and enable it to convey such equipment with ease. There are numerous van cargo add-ons to choose from. Some models can be installed on the top of the van; ladders and other related equipment can be placed inside the mounts and tethered for security. 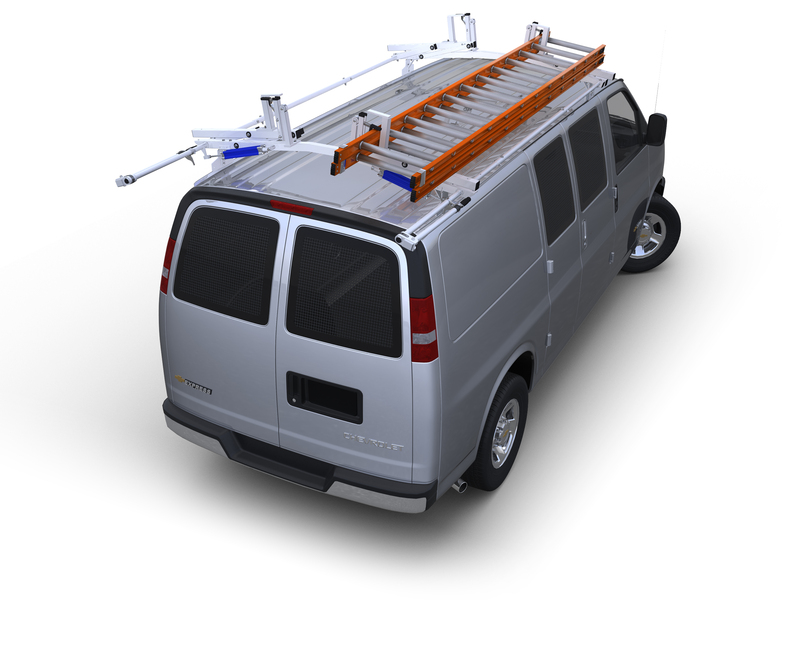 Browse through our transit ladder rack equipment and select your cargo carrier model today!